Hey NYC – Let’s make some noise in June! 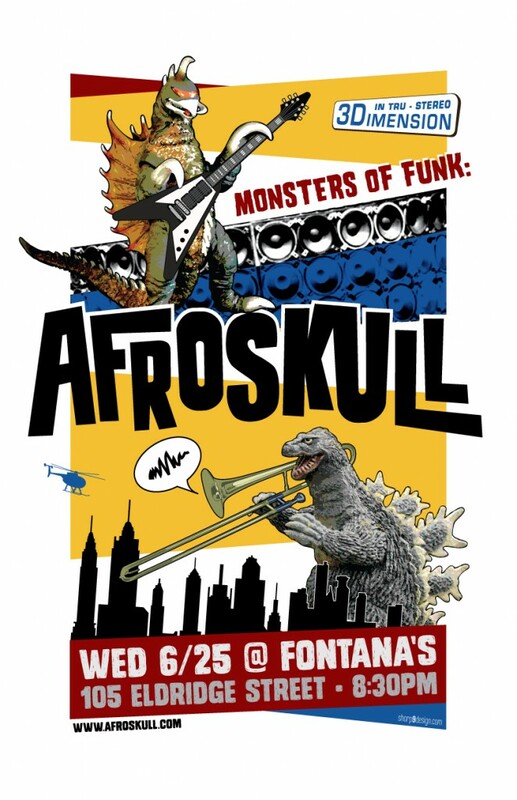 Afroskull is back for a rockin’ set at Fontana’s on Wednesday, June 25th. Click here to purchase tickets. Afroskull at Krewe du Vieux! We are pleased to announce that Afroskull will be playing a surprise late-night set at the Krewe du Vieux Ball in New Orleans! Catch us late in the evening on Saturday, February 15th at the Trash Palace on Elysian Fields following a super-jam with Ivan Neville and Big Chief Monk Boudreaux. The party’s theme this year is “Where the Vile Things Are,” so naturally they thought of us. Afroskull fans of New Orleans, your Mardi Gras season just got a little heavier. 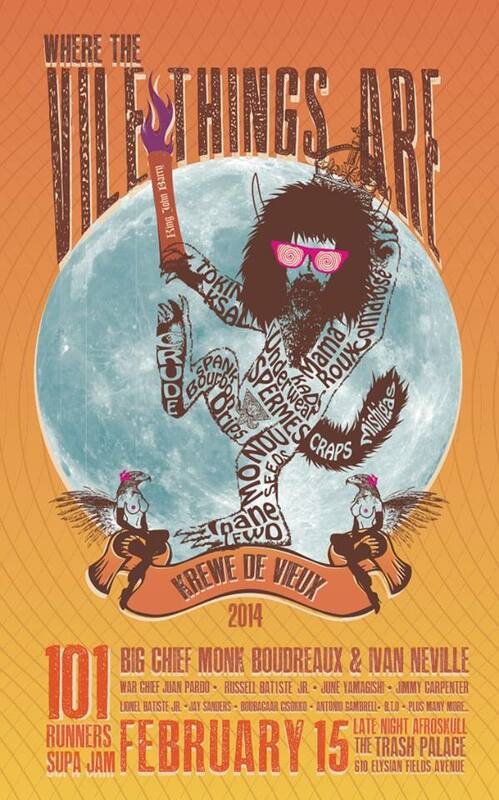 Come funk with us at Krewe du Vieux!! !